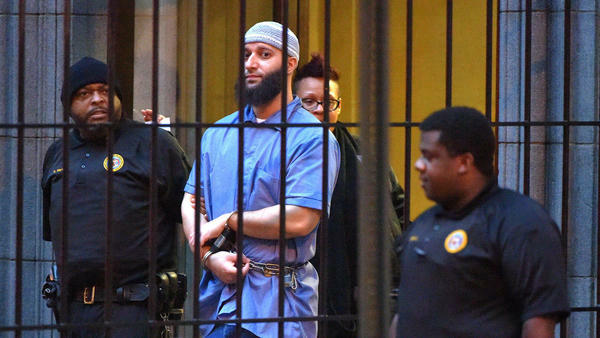 Maryland's second-highest court has ruled that Adnan Syed, whose murder conviction served as a subject for the hit podcast Serial, deserves a new trial. The decision issued Thursday by the Court of Special Appeals upheld a lower-court ruling that Syed's counsel in his original murder trial was deficient and ineffective. In its majority opinion Thursday, the three-judge panel affirmed that the defense team's "deficient performance prejudiced Syed's defense," explaining that his counsel failed to contact a potential witness whose alibi could "have raised a reasonable doubt in the mind of at least one juror." The ruling upholds a previous decision to vacate Syed's 2000 conviction for the murder of his former girlfriend Hae Min Lee and remands the case back to Maryland's circuit court for retrial. But prosecutors still still have 30 days to appeal Thursday's decision to Maryland's highest court, the Court of Appeals. "Each season of Serial follows a single true story, told episode by episode. "The first season investigated the case of Adnan Syed, who was convicted of murdering his former girlfriend more than 15 years ago. Host Sarah Koenig and her team uncovered inconsistencies in his case — including the fact that Asia McClain was an alibi witness. She said she'd seen Syed at the time Hae Min Lee's murder occurred, but that testimony was never brought forth in court. "The podcast became the most-downloaded of all time, fascinating more than a million listeners and inspiring passionate communities of amateur sleuths and Adnan obsessives." After the ruling was released, Julie Snyder, an executive producer of Serial, told NPR she felt that the podcast's season showed that "the story that the state presented at trial could not have happened." "To me," she added, "some sort of remedy seems appropriate." Since the original trial, Syed's representatives have pointed to that failure to bring forth that alibi witness — as well as a failure to question the reliability of cellphone tower evidence used to place Syed at the scene of the crime — as proof Syed's original attorney failed him. Judge Martin Welch, who overturned the conviction in 2016 in Baltimore City Court, ultimately found that Syed's first attorney "fell below the standard of reasonable professional judgment." Prosecutors appealed that decision, only to lose that appeal Thursday in a 2-1 ruling. Prosecutors did not immediately announce whether they would appeal Thursday's ruling. Maryland Attorney General Brian Frosh's office said it is "currently reviewing today's decision to determine next steps," according to The Baltimore Sun. In the meantime, Syed's current attorney, C. Justin Brown, celebrated the decision at a news conference, expressing his eagerness to proceed to a new trial. "Let's take it to a jury in Baltimore City and let them decide whether or not Adnan Syed is guilty or innocent," Brown told reporters. "You know, this process has taken so long already. It's time to make some final resolution of it — and we hope that the state will see it the same way that we do." NPR intern Adrienne St. Clair contributed to this report. OK. If you listen to the hit podcast "Serial," you know the name Adnan Syed. The podcast was about his murder conviction in 2000. But an appeals court in Maryland has backed a decision that vacated his conviction, and Syed might be getting a new trial. NPR's Colin Dwyer has the story. COLIN DWYER, BYLINE: Adnan Syed has spent the better part of two decades behind bars for killing his high school ex-girlfriend in 1999. He's there serving a life sentence for the crime. But even as he stayed put in custody, he has followed a long and winding road through Maryland's legal system. And as the court hearings piled up, so did some apparent loose threads in his case, some of which concerned the performance of his lawyer at the time. For one thing, that lawyer did not bring forth a key witness who claimed to have seen Syed at the school's library at the time of the killing. SARAH KOENIG: All I can say is I think something went wrong with this case, and I think that's worth reporting. DWYER: That's podcast host Sarah Koenig talking to NPR back in 2014, right around the time that she and her investigative team devoted the entire first season of "Serial" to Syed's story. The show won a Peabody Award and became one of the most-popular podcasts of all time. And within two years, a Baltimore judge decided Syed's story was also worth reconsidering in court. He found that Syed had been poorly served by his original counsel - so poorly, in fact, that Syed deserved another hearing. Now, after a 2-1 ruling, Maryland's second-highest court has backed that decision. And Syed's new lawyer, C. Justin Brown, says they are ready for a new trial. C. JUSTIN BROWN: Let's take it to a jury in Baltimore City and let them decide whether Adnan Syed is guilty or innocent. DWYER: He says "Serial" helped boost the intensity of Syed's legal campaign. The show's widespread popularity even shook the trees, in Brown's words, so that they could get in contact with that alibi witness, Asia McClain Chapman, and get her testimony. BROWN: But, you know, this process has taken so long already. It's time to make some final resolution. And we hope that the state will see it the same way that we do. DWYER: And that is still an open question. State prosecutors still have time to decide whether to appeal this ruling to Maryland's highest court. For now, the state attorney general's office says it is reviewing the ruling to determine its next steps. Colin Dwyer, NPR News. (SOUNDBITE OF SAIB'S "ARABESQ") Transcript provided by NPR, Copyright NPR.